Our workers are very respectful to your home or business throughout the project. We always do our best to accommodate all your needs. I get many compliments during and after work about my workers, which makes my clients feel comfortable in having them in their home or business. We are a locally owned and operated company with over 30 years of industry experience. We value honesty, integrity and treat your property as if it were our own. We offer a variety of home improvement services that are customizable to each individual project. 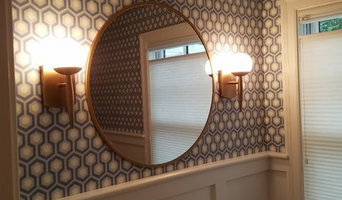 We specialize in wall coverings, from lightweight residential material, to digital images, fabrics, and commercial vinyl. We pride ourselves on the quality of our work as well as our commitment to outstanding results. We look forward to building lasting relationships with our clients and guarantee your satisfaction! Economy Paint Supply has been family owned and independently operated for nearly 75 years. Economy Paint Supply continues to offer the finest quality paint and decorating products at competitive prices, backed by the best service anywhere. We're proud to deliver the kind of specialized attention to detail and help that you simply won't find in larger chain stores. Join our family and shop Economy Paint Supply! At Painted Brilliance, we understand the value a quality paint job can bring. Whether you recently purchased a house, are trying to sell property or are simply updating a current residence, we deliver the highest level of satisfaction for every need. Each of our experienced painters is meticulous in their work and always respects your property, as if it were their own. Rest assured that we are fully licensed, insured and proudly serving your neighbors throughout the South Shore region of Massachusetts. Master paperhanger with over 20 years of experience. We hang any type of wallcovering, including grasscloth, hand-screened papers and hand-painted murals. We specialize in challenging architecture, new homes, and historical projects. Here at Cider Hill Painting we are committed to your needs. With over 30 years combined experience you can be confidant you are getting the best paint work your money can buy. 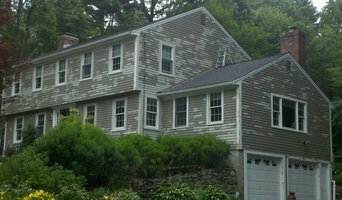 Cider Hill Painting has a large array of ladders and lifts, so no job is too large or too small. Hergon Design Inc. is located in Revere, Massachusetts and is serving the New England area since 2003. From Small to large projects, we have been offering high quality, custom building, remodeling and design services for both commercial and residential clients/contractors with technical competence and determination. Deciding to paint involves a dozen related issues, such as when to accomplish the task, which colors to choose, what it will cost, and whom to trust with the work. That’s why you should call Colorfull Painting and let us manage the entire process. We’ll bring our years of experience to guide your choices, recommend paints, and efficiently perform the work. 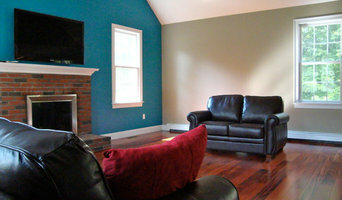 We serve the Framingham, MA, area, and our painter will give you friendly, respectful service at all times. We’re committed to our customers, and we want you to have a great painting experience. To achieve that goal, we’ll take meticulous care of your furniture and floors, work with deliberate attention as we paint, and clean up when we're finished. fully certified in all aspects of construction, fully insured, certified payroll. in business 1998 Painting, carpentry, property management, complete home improvement. water damage repairs. roof repairs. we can provide anything you need. Paint Works is experiences to provide you with services involving interior and exterior painting as well as related fields such as drywall repair and carpentry, we are ready to schedule your projects big or small. When your home needs a facelift, call the pros at B & L Quality Painting and Paperhanging for quality painting, wallpaper installation, carpentry, and more. Licensed and insured for your peace of mind, B & L Quality Painting and Paperhanging is your #1 choice for all your home remodeling and repairs. At B & L Quality Painting and Paperhanging, we strive to provide you with high quality work at a competitive price. Our services include interior painting, house painting, carpentry, wallpaper installation, tile installation, and we do it all with pride. Whether you’re looking to update a room or the whole house at B & L Quality Painting and Paperhanging … no job is too big. We work with both residential and commercial customers and take pride in giving you prompt, dependable service. Our painters, wallpaper installers, and carpenters have years of experience in getting the job done right the first time, every time! When it’s time to remodel or repair your home or office, call the experts at B & L Quality Painting and Paperhanging in Wakefield, MA at 781-521-2579 and work with the interior and exterior painting company of choice in Wakefield and the surrounding areas. Manufacturers of genuine, all natural milk paint since 1974. 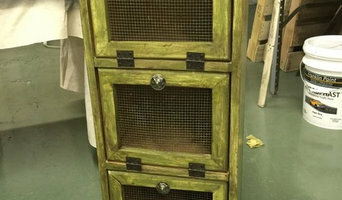 Formulated in powder form to avoid chemical preservatives, milk paint is easily mixed with water before use. 100% biodegradable, zero VOC's. 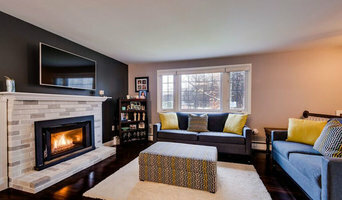 Owned and operated by Andy Taubert, Taubert Painting has earned a reputation as the best painting company in Shrewsbury, Massachusetts. We believe in performing jobs right the first time using the highest quality paint and materials for residential homes and commercial properties. Every member of our friendly, full-time crew has worked with this company for more than five years, and is dedicated to providing prompt, professional, quality work. We strive to be clean, neat, and thorough; two out of three doesn't cut it. Also, Taubert Painting aims to instill confidence in our ability to meet all your expectations, so you know customers are always the number one focus.